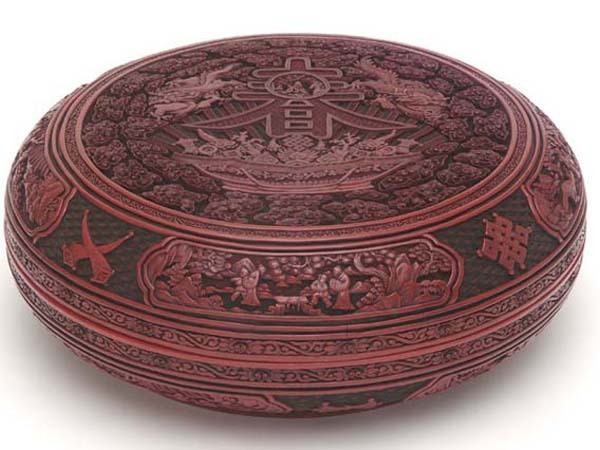 Lacquer ware refers to using lacquer to paint on the surface of wares or artwork. Lacquer ware is a special product of China. Raw lacquer is natural liquid cut from lacquer tree, which consists of laccol, laccase, gumminess and water. Using lacquer as painting has good anti-moisture performance, anti-high temperature performance, and anti-corrosion performance. 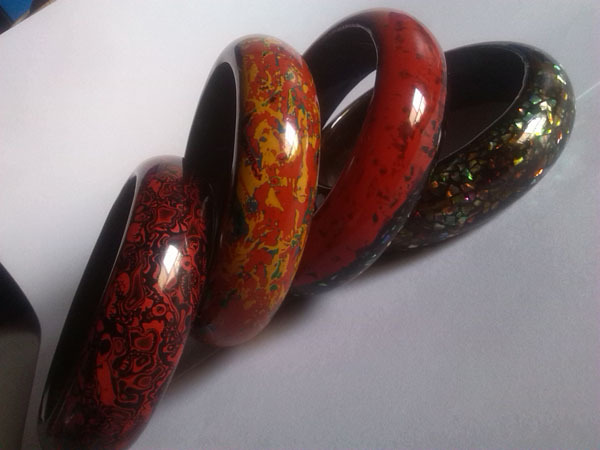 After being heated and mixed with pigments, colorful lacquer comes into being and can be made as delicate handicrafts. Ancient Chinese people knew these functions and using it on ware from Neolithic times. After thousands of years, Chinese lacquer ware continued to develop and evolve, and reached a high level. Chinese painted gold lacquer and other painting lacquer ware had a great influence to Japan. It’s one of the most important inventions in the chemical technology and the industrial art aspect in China ancient times. The Chinese lacquer with brilliant color is waterproof, corrosion-proof and high temperature resist. 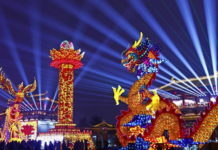 It is one of China’s great inventions of industrial arts. Lacquer ware not only has great ornamental value but also wide practicality. Lacquer ware has the time-honored history in China. According to historical records, China is the first country in the world to use lacquer. Besides the ornamental furniture and various kinds of wares, lacquer ware can used as musical instruments, weapons as well as funeral wares. The lacquer ware was in use as early as in Xia Dynasty 4,200 years ago. During the Han Dynasty (206 BC-220 AD), people took lacquer ware as their daily utility. In ancient China, the lacquer trees were planted in a large area. 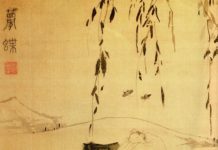 The great philosopher Zhuangzi in Warring States (476BC-221BC) was once the specific official taking charge of the lacquer tree garden. The early lacquer was very simple. 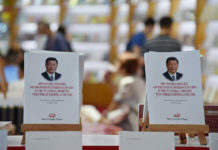 They were made of the wooden or bamboo molds painting with lacquer. As civilization advanced, the technique such as colored pattern, liquid gold gilded decoration and so on has appeared, and different dynasties’ lacquer wares have their own styles and features. In the heyday of lacquer ware in Han Dynasty, lacquer box, plant, earring, mask, chessboard, etc. came into being, with main colors of red and black. During the Ming and Qing Dynasties, the production of lacquer ware reached a new peak. In the period, lacquer technique began to combine with architecture and furniture production, gradually turning focus to ornamental field. 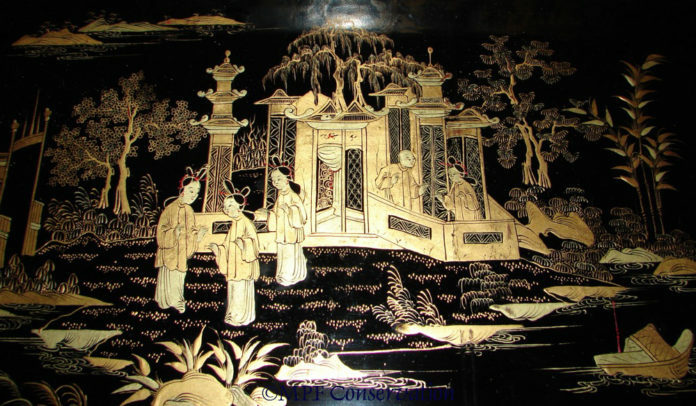 In Ming Dynasty, lacquer carving was very popular. The modern lacquer ware producing areas are Beijing, Jiangsu Province, Shanghai, Chongqing, Pingyao in Shanxi Province, Yangzhou in Nanjing Province, Dafang in Guizhou Province, Tianshui in Gansu Province, Yichun in Jiangxi Province and Fengxiang in Shanxi Province.